Marin County & City Gov’ts Now 100% Deep Green! Are You? Tiburon – On Oct. 4th, Tiburon voted to opt-up to Deep Green, joining the County and all other cities in Marin to purchase mceCleanEnergy’s, 100% renewable energy for their municipal accounts. That means, thanks to your efforts, now 100% of Marin government services use 100% renewable energy. You can do the same if you haven’t – it’s easy and not that more expensive at all and a big thing you can do to protect our climate. We may be the first county in the nation to do this. Definitely are in the state! You might want to call and thank your City Council members and Board of Supervisor representative for making Marin a 100% clean energy county. 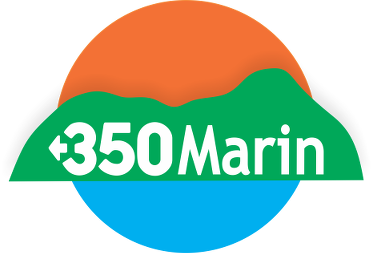 350Marin members Helene Marsh and Sarah Loughran came up with and guided a great county-wide initiative to get municipalities and the County of Marin to switch their electricity accounts (for all the public buildings, street lights, etc.) to MCE Deep Green, (100% Green Energy). 350Marin strongly supports their great leadership on this, which is aligned with the goals of our Clean Energy campaign. The list of Marin cities, towns, and departments that had, before their campaign, already gone Deep Green included Fairfax, San Anselmo, Belvedere, and Sausalito, as well as the Marin Agricultural Land Trust, Point Reyes National Seashore, and the Tamalpais Community Services District. As of April 18 and 19th respectively, And you can see the dates below when the latest group of cities and the County voted Deep Green 100% Renewable for their electricity into their budget. More to to be done with some agencies and the schools but this is amazing! Marin Conservation League, 350Marin, Environmental Forum of Marin, Citizen’s Climate Lobby(Marin Chapter), Resilient Neighborhoods, OFA Marin, Cool the Earth, Coalition for Livable Marin (CALM), Marin School of Environmental Leadership, Strategic Energy Innovations, Sustainable Marin, Sierra Club-Marin, Sustainable San Rafael, Sustainable Novato, Sustainable Fairfax, Town of Fairfax Climate Action Committee, Mainstreet Moms – West Marin, Mill Valley Community Action Network, CA Interfaith Power and Light.